Cool, contemporary and convenient, the Brisbane City YHA is the perfect hostel for groups or solo travellers looking to mix with fellow adventurers and make some friends. You don't even need to step out the front door to find a party, the bar is always bouncing and there's plenty of entertainment besides, like pool tables, swimming pool and a games room where they hold frequent Wii competitions. It's close to the centre too, as well as within walking distance of the transit centre, so you won't be getting lost. Private room was comfortable and having your own bathroom is always a plus. Great location and atmosphere. Only downside is the slow internet that only works near reception. The room was comfortable and the toilets were clean. A short walk from the CBD, and good location to explore the city from. 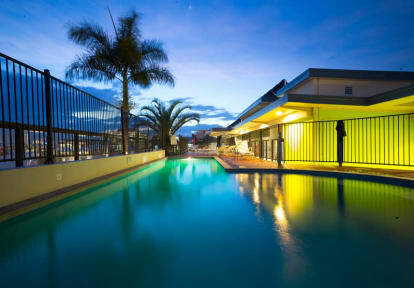 This is a great hostel which is nice and close to Roma Street bus station. Only negative of our stay is that they upgraded us for free and when we extended the stay, they made us check out and check back in again. Also, they have no luggage storage available at this hostel so you waste your day looking after your bags unless you want to pay $6 to store your bags (???). Feels like a hotel/school residence as it huge and multi-floor, but I think all Brisbane hostels are like this. Kitchen upstairs is great! Good amount of room and chill spaces. Good location in proximity to the Southbank and main bus station I’d say. Staff were for the most part rude, especially the lady who works at the coffee shop. People were nice though, big hostel though so hopefully you have nice people in your room. Clean rooms. Aircon in room is great. Only thing is that it turns off at night, so it’s very hot when you wake up. The kitchen is big. Only downside is that the beds are noisy. Liked my stay, and would definitely stay there again. try opening a can of food in this kitchen mission impossible didn't even have a can opener ridiculous also pots and pans where so old and battered great kitchen let down with tacky or no equipment at all! This hostel meets all basic needs but it nothing special, rooms feel a little cramped and beds are very lumpy but are clean. The kitchen area is spacious and clean. Pool area doesn’t really have anything apart from a teeny pool, nowhere to sunbathe so wouldn’t spend much time at the hostel. Fine for anyone just wanting to spend one night before/after a whitsundays tour. Central and ten min walk from bus station. Good sized lockers, nice rooftop pool with good view of Brisbane. Showers were pretty awful, one sprayed everywhere the other was a trickle. Good overall.